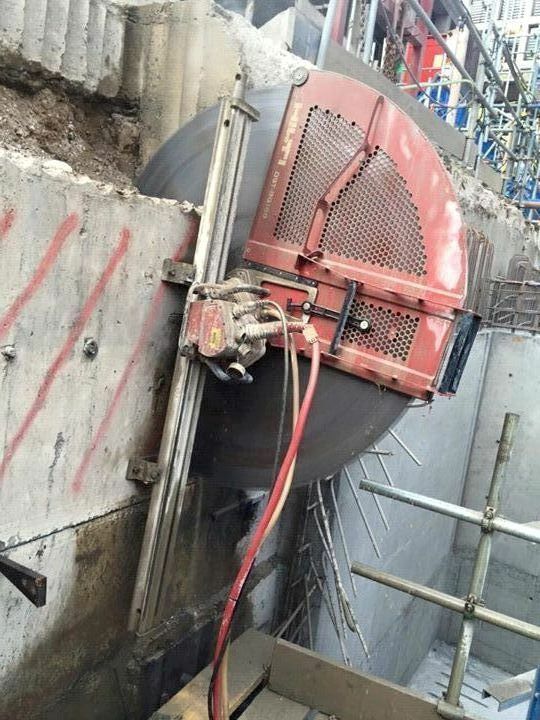 Whether it is a new construction, renovation of an existing structure or demolition job, there is no way you can overlook the need of concrete cutting. While there are several methods used for concrete cutting since ages, diamond concrete cutting tops the list. In this post, we have shared some useful tips and advice on how to efficiently use diamond blades for concrete cutting projects. Diamond cutting is one of the most commonly used processes into the construction industry. In this technique, diamond blades are used for concrete cutting. The blade surface is encrusted with diamond bits which make the tool capable of cutting through any building material. The hardness of the diamond is peerless. Diamond blades are most robust, durable and powerful concrete cutting tool we know today. If you are a first-timer to using diamond blades for concrete cutting, there are several basic guidelines you need to adhere to in order to accomplish the job efficiently and safely. Professional diamond cutting companies offer rigours training to their fresher staff, educate them with these fundamental guidelines to follow during the site operation and equip them with the right tools. Here are Some Basic Guidelines a Diamond Cutting Technician Must Consider. There are different models of diamond blades to cut different types of concrete materials. You need to pair the right diamond cutting tool for the particular concrete type. For example, some concrete are heavily reinforced with steel bars, some may have other metals inside and some structures may have built using plain concrete only. You need to check what all materials exist in the structure that needs to be cut so as to choose the right diamond blade for the job. The presence of hard aggregates like quartz and basalt into concrete structure demands a diamond blade with the soft bond for effective cutting. There are mainly two diamond cutting methods to choose from – wet diamond cutting and dry diamond cutting. Typically, diamond cutting contractors use wet cutting method for concrete cutting projects. In the wet cutting technique, water is used as a coolant and lubricant during the cutting operation. Use of water in concrete cutting helps prevent the diamond blade from heating up excessively and adds to its service lifespan. The technique also helps control dust production during the process. However, if it is more challenging to manage a water source at the job site, dry diamond cutting makes a perfect choice. 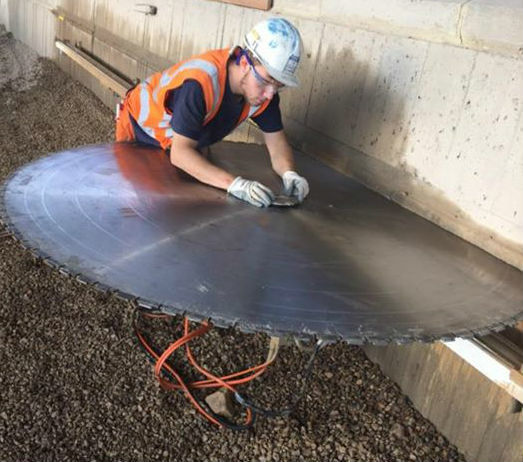 A right selection of diamond blade is essential to ensure fast, safe and accurate concrete cutting. Laser welded diamond blades or silver brazed diamond blades are preferred for wet diamond cutting operations. Laser welded blades ensure optimal performance in wet concrete cutting. What’s more, you also need to consider the horsepower of the concrete cutting saw as that can help choose the right diamond blade model. Choose the diamond blade with a diameter that can be easily fitted inside the concrete saw you will be using for cutting process. The arbour size of the concrete cutting saw and the diameter of the arbour hole of the diamond blade should also match each other. It is apparent that diamond concrete cutting demand extensive knowledge and a specific skill-set. Safety needs to be the topmost concern. Make sure you wear personal protective equipment (PPE) like hand gloves, goggle, earplugs and rubber boots while undertaking a diamond concrete cutting job. Wearing protective clothing is vital to ensure your safety from any unforeseen accident at the job site. Want to learn more about diamond cutting tips and techniques? We are just a call away!